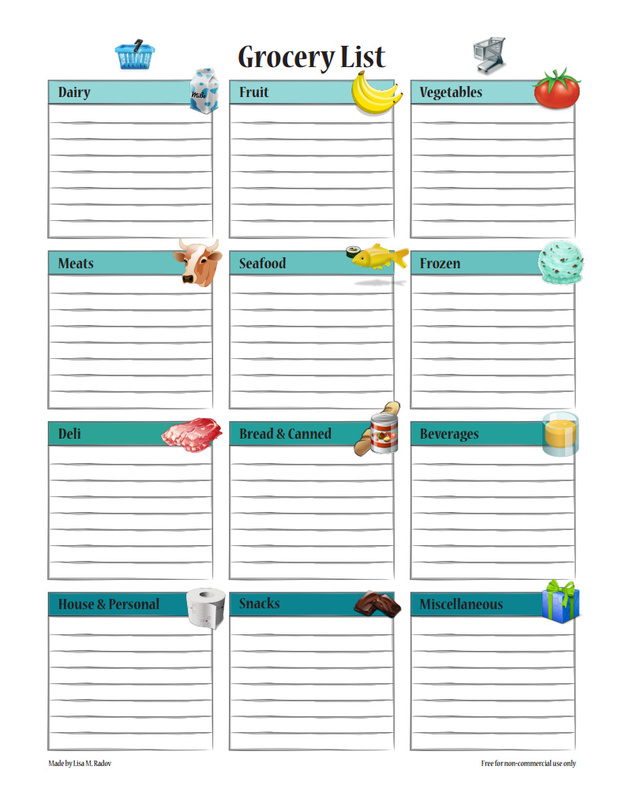 This is my free grocery list for personal use only. Download it as PDF and print it. I have laminated mine so that I can write on it with a whiteboard pen. I just snap a photo with my phone before I go shopping. Then I can use it again and again. It can be found in 2 versions. An English one in Letter size and a Danish one in A4 size.